Cappon magro is a Ligurian dish, traditionally served on Christmas eve when according to Catholic tradition, families would abstain from eating meat. Fish and seafood were served instead. 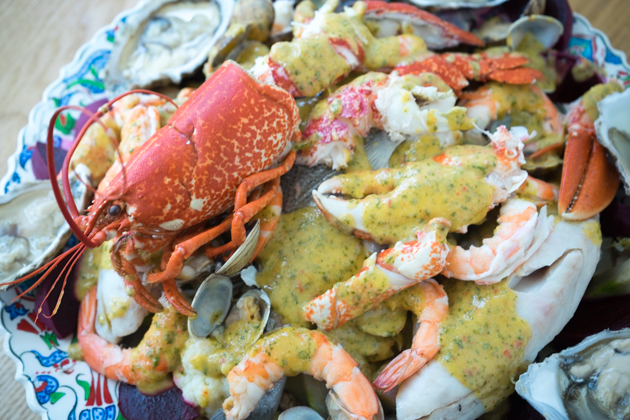 This elaborate seafood platter hardly counts as suffering in the name of piety. There are various theories as to why the name of the dish is "fasting day capon (rooster)". One of which is that cappone (tub gurnard- a type of fish) was often used. 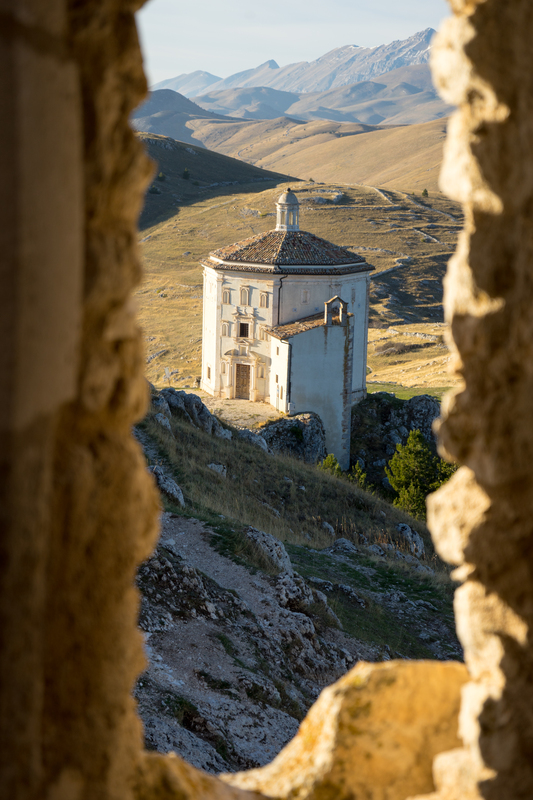 The dish traditionally starts with a layer of hard tack or ship's biscuits (galletta del marinaio) which are softened with salted water and vinegar. As I have no clue where to find hard tack and suspect it not worth the time doing so, I just serve it with bruschetta. 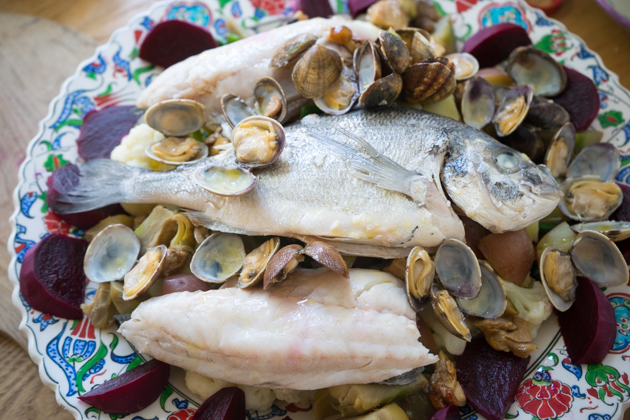 Poached fish such as gurnard, sea bass and the white fish and shellfish such as lobster, prawns, langoustines, oysters, clams and mussels are layered together. 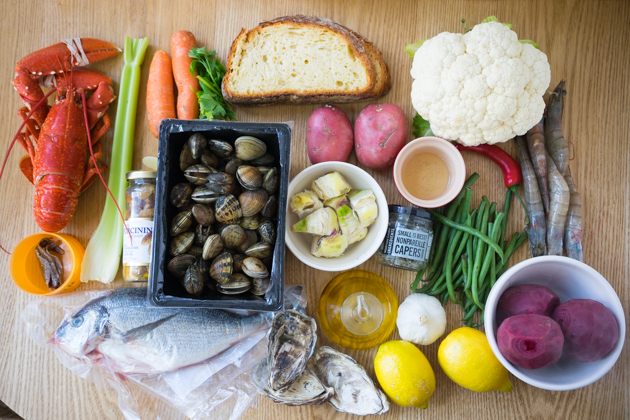 Just use whatever fresh, seasonal seafood you can find. 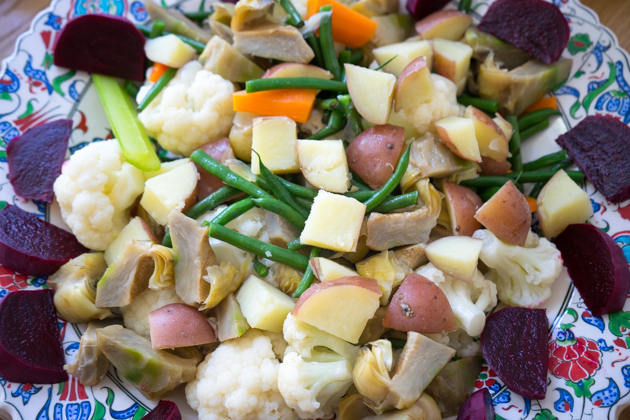 Added to this are poached vegetables such as black salsify, celery, cauliflower, potatoes, carrots, beetroot, artichokes and beans. The whole mixture is covered with a tangy earthy sauce made from eggs, breadcrumbs, vinegar, parsley, garlic, capers, olives and anchovies. 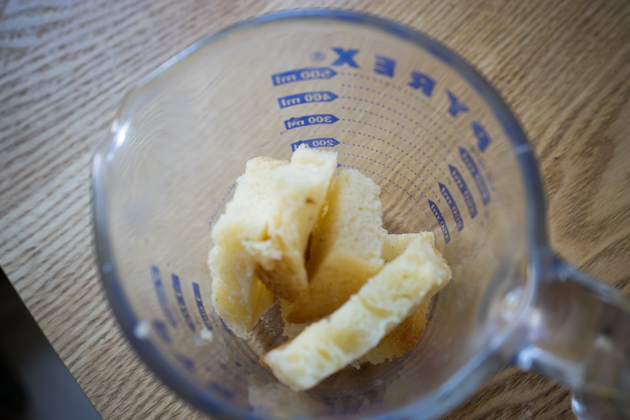 Soak the bread in 60 mls of the vinegar and 15 mls water. In a food processor or finely chop by hand, combine the garlic, chilli, anchovy, parsley, capers, the soaked bread and half the lemon juice. 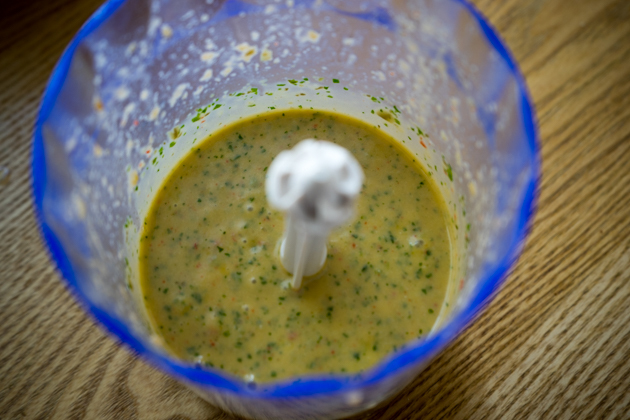 When combined, if using a food processor, then slowly add 240 mls of the olive oil, blending to emulsify the sauce. 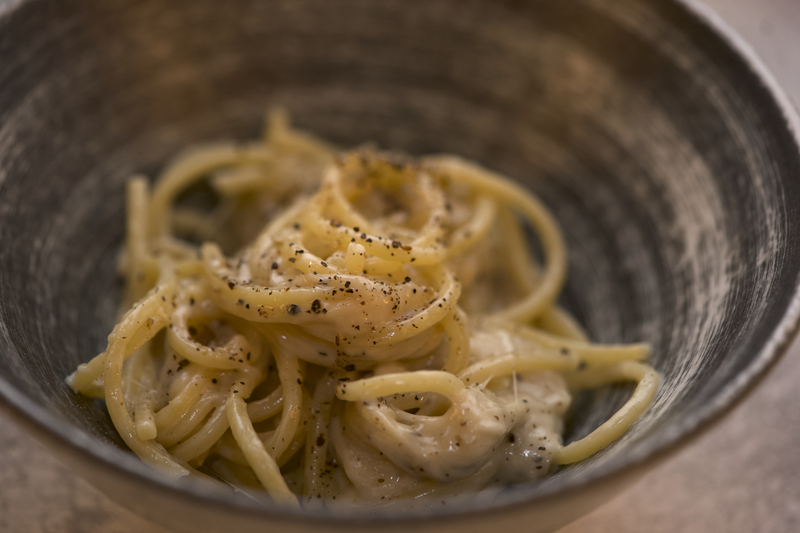 If making by hand, use a wooden spoon to beat in the olive oil, bit by bit. Bring to a boil a small pot of salted water and add the remaining 30 mls of vinegar. 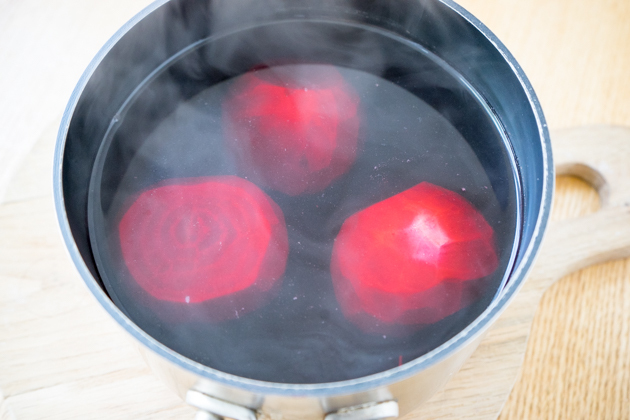 Add the beets and boil until they are tender (test by piercing with a knife or fork), about 45 minutes depending on the size of the beets. Remove with a slotted spoon and allow to cool. Cut into bite sized pieces. Prepare a large bowl of ice water. 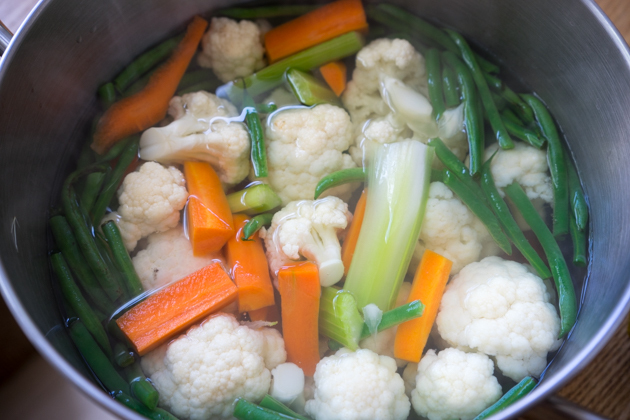 Separately, bring to a boil a large pot of salted water and boil the carrots, celery, cauliflower and green beans for 7 minutes. 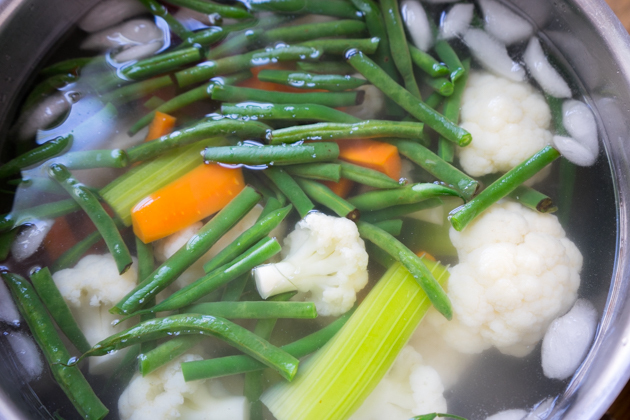 Remove the vegetables with a slotted spoon and place in the bowl of ice water to cool. Reserve the cooking water. Rinse out the pot used for the beets and refill with salted water. Bring to a boil and add the potatoes and artichokes. 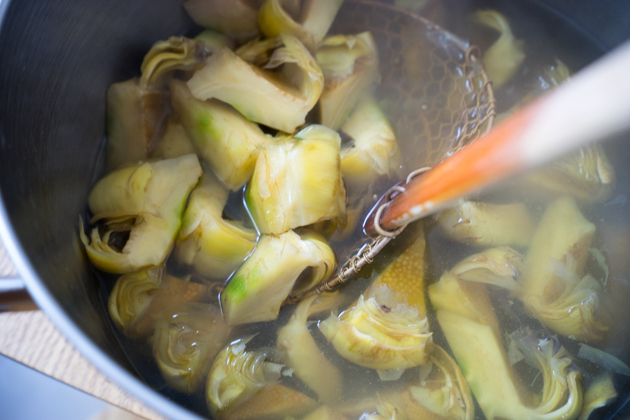 After 10 minutes, add the salsify to the water. Cook until tender when pierced with a fork, about another 5 minutes. 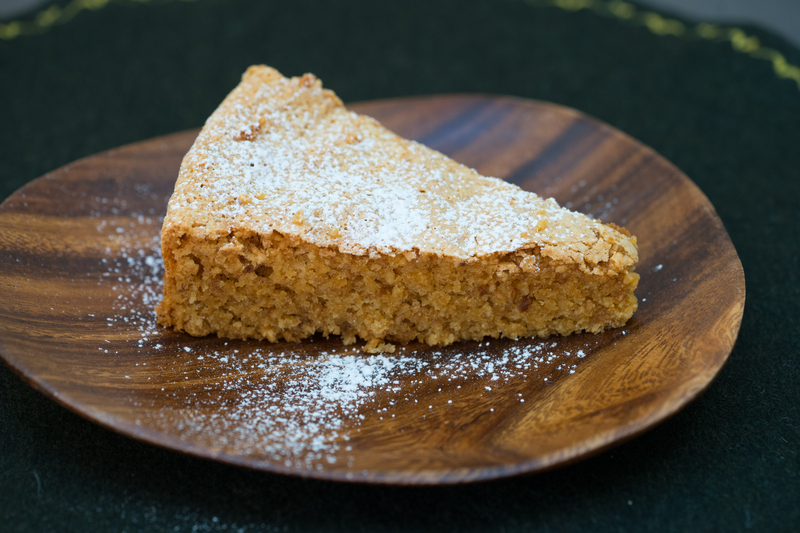 Remove with a slotted spoon and set aside to cool. 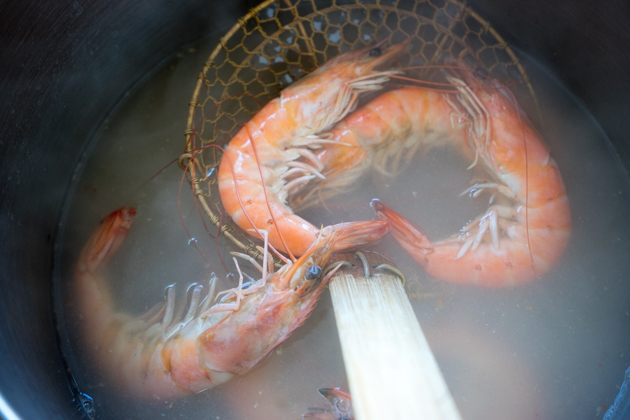 In the reserved vegetable water, heat the water to 70 C (160F) and add the prawns and cook for 8 minutes, until cooked through. Remove with a slotted spoon and allow to cool. When cool, remove the shell and the vein running along the back. 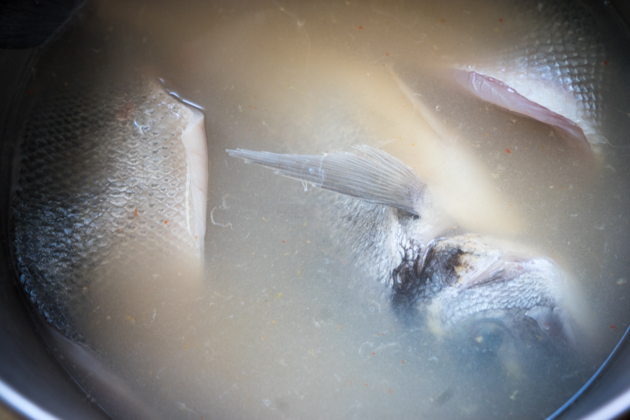 In the same water at the same temperature, add the fish and poach until the meat flakes easily (depends on the size but for a 400 gram fish, cook for 10 minutes).If you are using fillets, it will take less time. 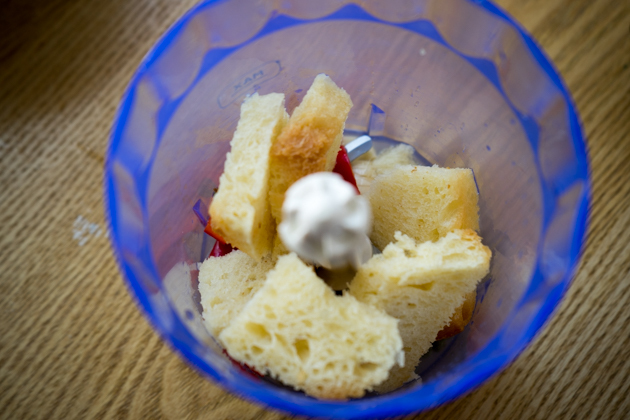 Remove with a slotted spoon and allow to cool. In the same water, add the lobster and poach for about 15 minutes, until cooked through. 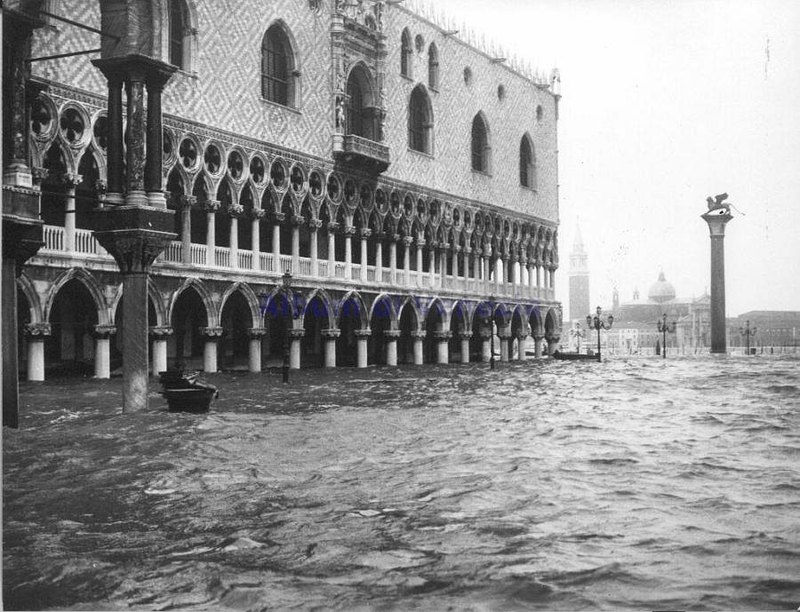 Remove from the water and allow the cool. Twist off the claws and tail and crack the shell with a mallet. 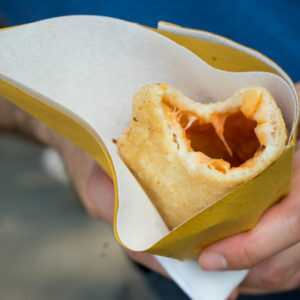 Remove the meat from the shell. 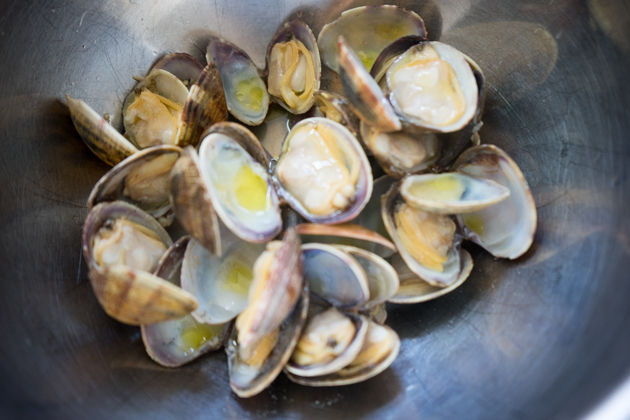 To cook any clams or mussels, add to a hot, dry frying pan. Cover and cook until the shells are all open, about 10 minutes. Discard any unopened clams or mussels. Drizzle the remaining 60 mls olive oil and half of the lemon juice over the seafood. Sprinkle with salt and pepper. Place the vegetables on a large platter along with the preserved mushrooms. Drizzle some of the prepared sauce over top. Add the seafood over top, drizzling with the sauce. 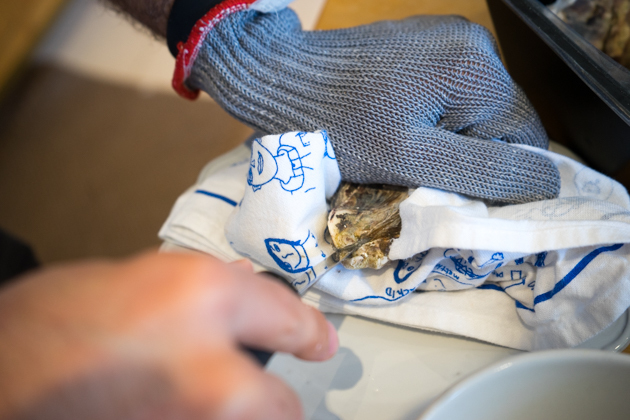 Open the oysters, being careful not to lose any of their liquid. Add the lobster on top. Arrange the oysters around the side of the platter along with the bruschetta. Serve!